It’s ironic that the supplies we often trust to clean our homes are the ones that cause more harm than good. In recent years, countless reports have come out in mainstream media about how harmful most cleaning supplies are. Organic Consumers Association wrote a great article detailing what dangerous side effects are caused by common cleaning supplies. I have switched to using homemade or all natural cleaning products to clean my house, and now, when I enter friends’ houses, I can tell that they’ve just been busy cleaning because as soon as I enter, I am overcome by the intense smell of the cleaning agent, and often feel dizzy and nauseous. It’s always surprising to me that my friends, who spend hundreds of dollars a week at Whole Foods to stock up on organic produce, are shocked when I start my tirade about the toxic ingredients often found in these supplies. Even after you switch to buying products that claim to be all-natural, new reports come out that those products are now found to be dangerous, as well. 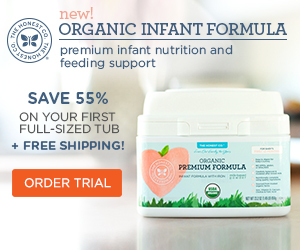 The Environmental Working Group (EWG) recently revealed that popular line, BabyGanics, whose company exec called products so safe “You Can Even Drink Them,” contains ingredients that cause cancer. Therefore, after much research, and my own conclusions, I try to go the simple and natural route and use a vinegar cleaning solution. Vinegar is so versatile and affordable that the decision was a no-brainer. I buy the huge containers at Costco for a couple of dollars, which last me several weeks. I mix vinegar and water in a bucket to clean my floors. I pour vinegar and water into a spray bottle (found at your local dollar store) to spray on windows, kitchen counters, you name it. If the smell bothers you, just add a little bit of lavender or rose oil to the mix for an all-natural smell that won’t leave you feeling dizzy. This entry was posted in Cleaning Supplies and tagged cleaning supplies, natural cleaning supplies, vinegar by karma606. Bookmark the permalink.